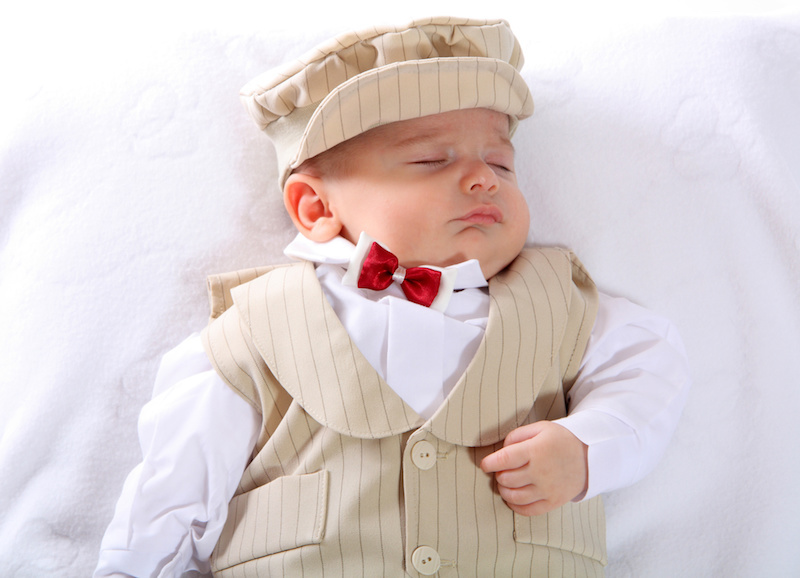 Wedding season is just around the corner, which means it’s the season for children’s formal wear. 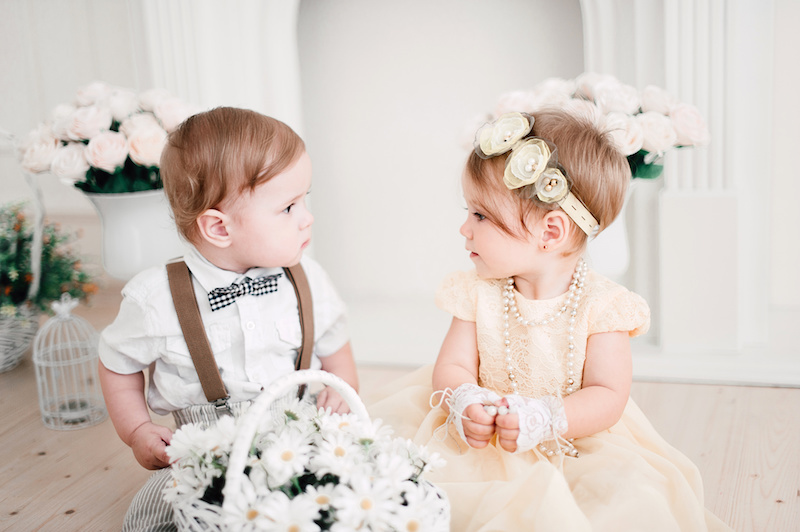 Weddings call for flower girl dresses and boy’s tuxedos, as well as for First Communion dresses and boys’ suits. What’s in this season? Read on to find out! When it comes to flower girl dresses, you have several options that will bring smiles to the faces of your attendees, and make your flower girls feel like little princesses. A sleeveless satin bodice with a satin skirt and organza overlay is a simple but stunning combination. Scattered colored stones with a marching band at the waistband coordinate well with the attire of others in the bridal party. 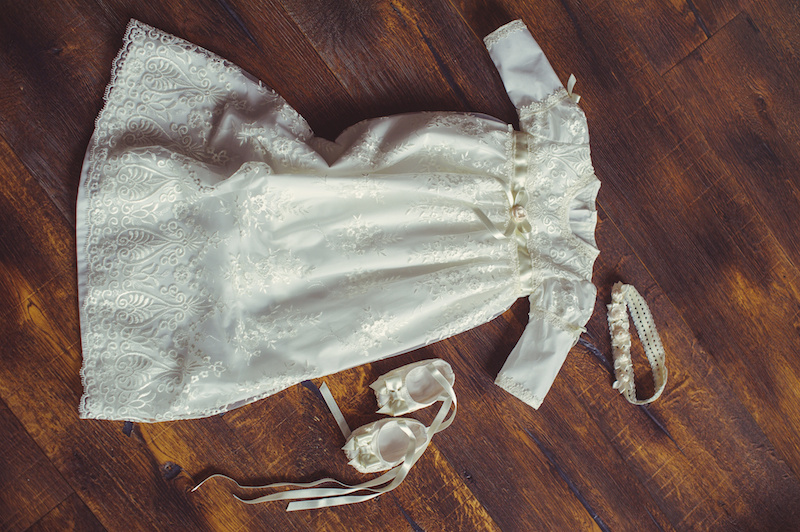 Depending on the age of the flower girl, choose either tea length or floor length. For a feminine yet upscale look, choose a flower girl dress that is tiered in the back. A full peau satin skirt with one tier in front and three tiers in the back, accented with a large bow with tails and fabric roses, will make the day special for both the flower girl and the bride. If you’re budget conscious, don&#39;t overlook some of the discount flower girls dresses that are available online. Just as beautiful as the pricier flower girl dresses, you can find satin and organza dresses, as well as tiered dresses, for between $35 and $80. with lace and a removable bolero jacket. This season, there are many choices for boys suits. Whether it&#39;s his First Communion or whether he’s attending in a family wedding, he’ll be thrilled to wear a traditional five-piece suit. Double-breasted jackets are back in style, and come in white for the perfect First Communion outfit. For a more formal occasion, a boy’s tuxedo – with or without tails – is always appropriate. When it comes to girls; christening dresses there are many choices. An all-white batiste dress with smocking on a bodice dotted with white pearls, along with matching bloomers, is adorable. For more traditional christening dresses you can choose a length of up to 32 inches with intricate embroidery and a matching bonnet. 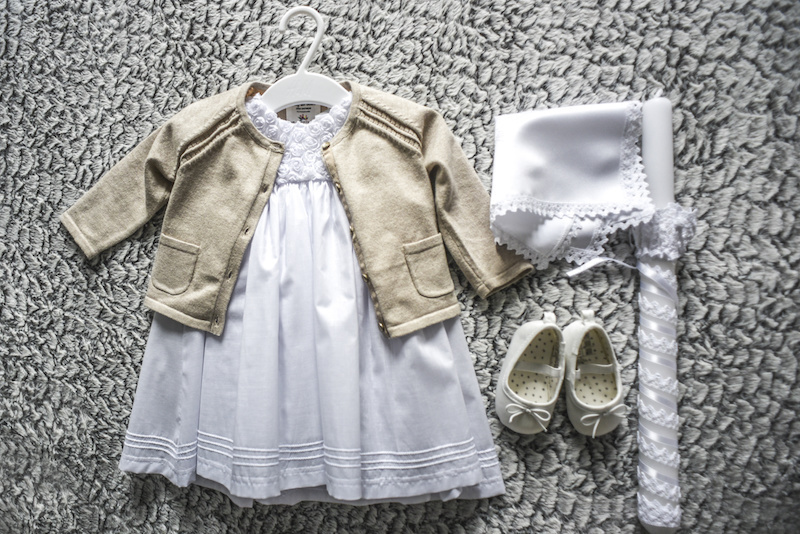 Keep in mind that a christening dress is something that can be handed down for generations, so choosing a timeless style may be in order. With the Internet, a wide variety of children’s formal wear is available at the click of a mouse. Plus, you’re more likely to find discount flower girl dresses and bargains in children’s formal wear at an online store. When ordering online, look for a company that not only offers flower girl dresses, boy’s tuxedos, Communion dresses, and christening dresses, but that also asks you for the date of the event. Before ordering, check out the sizing charts, and don&#39;t hesitate to ask questions. Then, on the big day, make sure that your little ones enjoy themselves, and feel as special as they look! dream wedding. Contact us today to schedule a tour.